The first Suicide Squad movie. According to Peter Safran, producer on Shazam and Aquaman, The Suicide Squad is still Gunn’s first priority. In a recent interview with JoBlo.com, Safran talked about Gunn’s position and how it has and hasn’t changed with him returning to Guardians. The official party line, then, is that Gunn’s Marvel involvement won’t change anything for DC’s nascent Suicide Squad followup and that it will be completed before Gunn jumps back over to Marvel Studios for Guardians. Not an unprecedented situation, in the world of comics, anyway. Nowadays writers and artists jump between the competing companies with some regularity. But in the film world of superheroes, it’s still pretty novel, and it’ll be interesting to see if it really pans out that way. “First of all, we don’t call it Suicide Squad 2 ‘cause it’s a total reboot, so it’s The Suicide Squad and I think people should be extremely excited about it. It’s everything you would hope from a James Gunn script and I think that says a lot and that promises a lot and I know that we will deliver a lot,” Safran said. 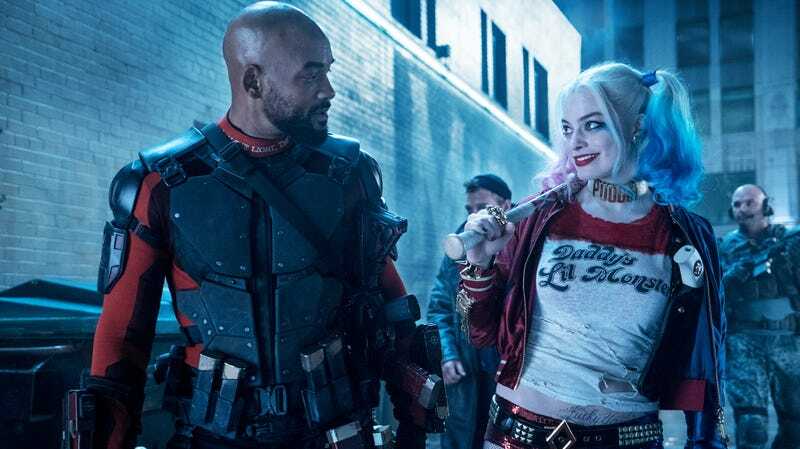 Not much else is known about Gunn’s The Suicide Squad, except that Will Smith is definitely not returning—Idris Elba will play Deadshot in his stead. If all goes according to plan, The Suicide Squad is slated to begin production this fall and come to theaters August 6, 2021.